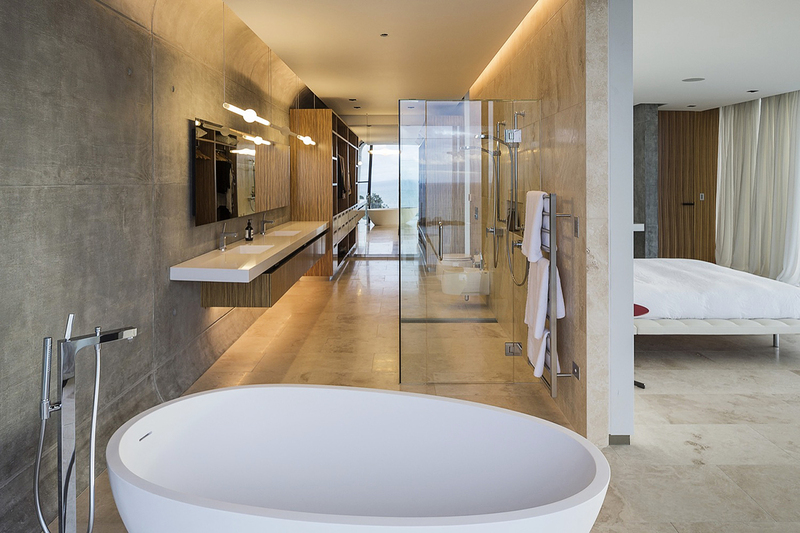 Despite the Hekerua Bay residence being located in New Zealand, the ethos behind the design actually comes from Mediterranean culture and to be more precise, Cypriot heritage. 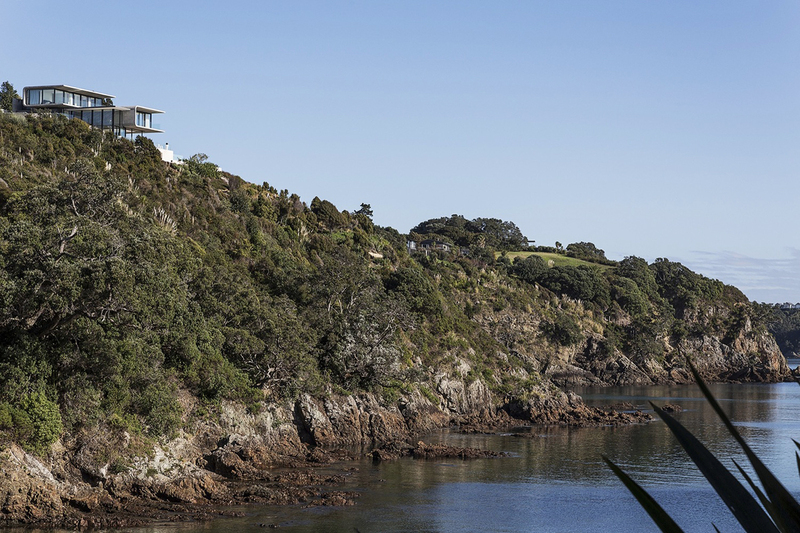 A collaboration between the agency Archimedia and a client, the open property is located above a rocky cove on an elevated promontory at the western entrance to a double bay on Waiheke Island in Auckland’s Hauraki Gulf. 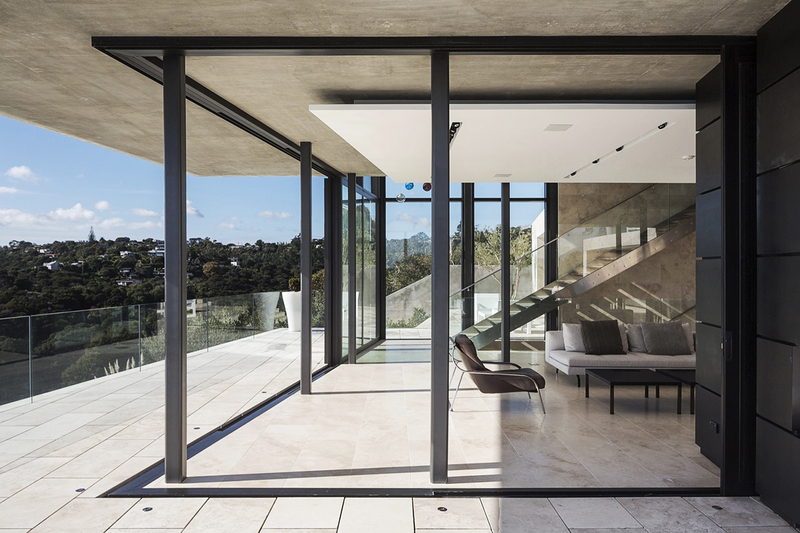 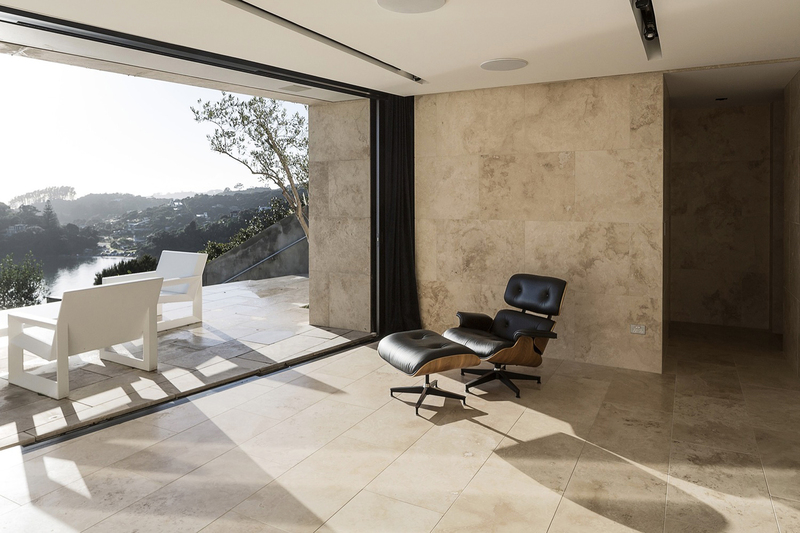 A structural engineer by trade with an affinity for concrete, the client sourced travertine – a colour from his childhood reflective of the clay-coloured sandstone – the core material for the structure. 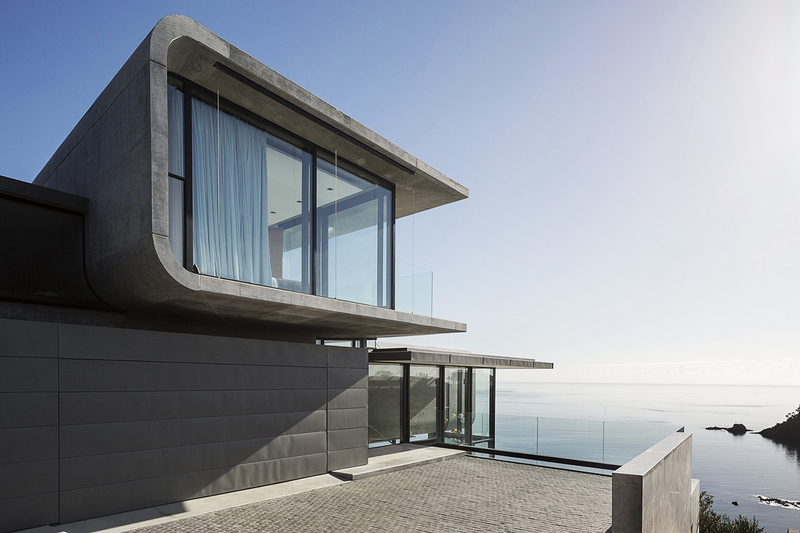 The site is a series of platforms for living, aligned with the oblique contour, with a cubist pool of water part embedded, part exposed on the west edge. 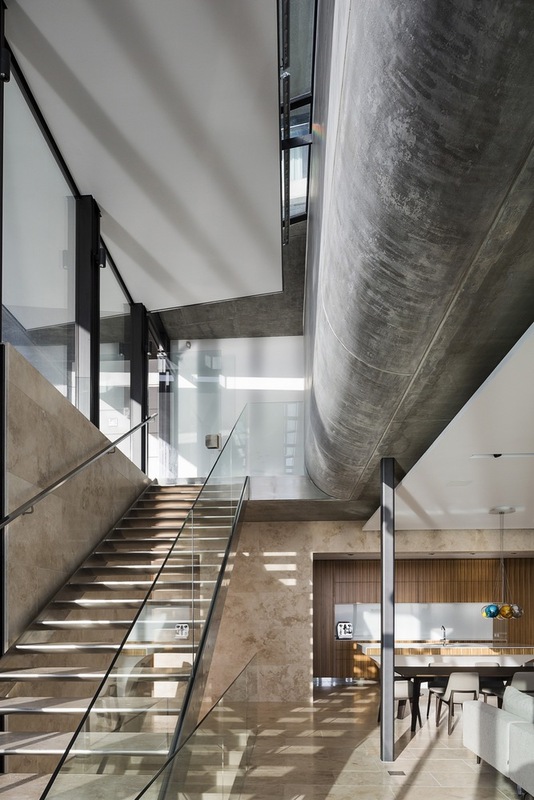 The residence includes a master suite, a reading room, a second guest suite and studio – all of which are suspended above the platforms, with the space between remaining open for human interaction. 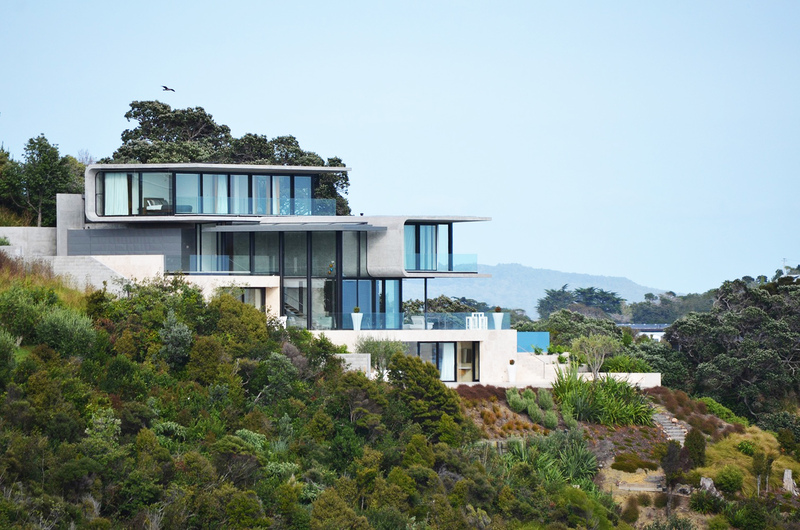 Comprised of four elements – a specific material sensibility, a stylishly engineered concrete shell structure, the inclined topography of the location and forms of the old neighbouring concrete buildings – the Hekerua Bay Residence is truly a collaboration worth living in. 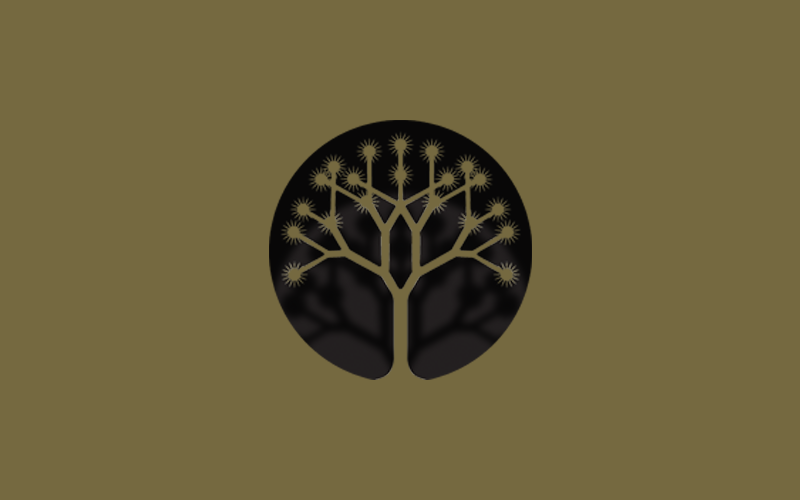 Past Thinkpiece : Have we become more Impatient?